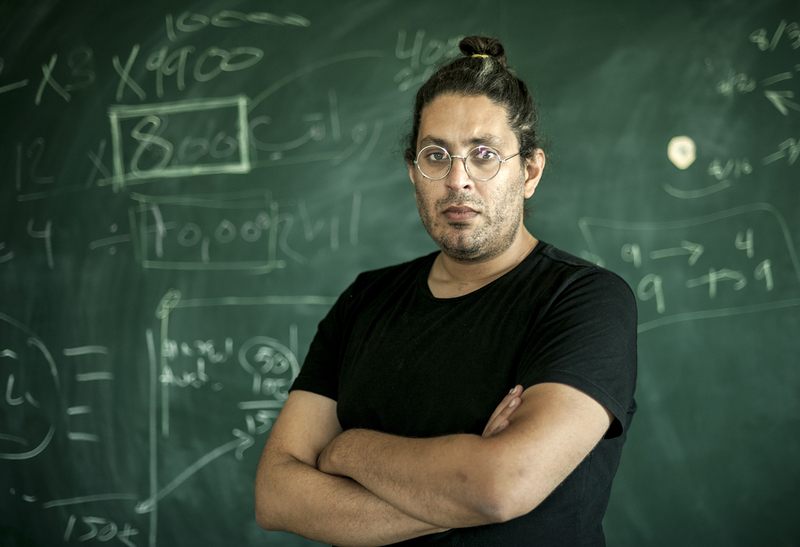 Mohanad Yaqubi is a filmmaker, producer, and one of the founders of the Ramallah-based production outfits, Idioms Film. He also teaches Film Studies at the International Art Academy in Palestine. Yaqubi is also one of the founders of the research and curatorial collective Subversive Films, that focuses on militant film practices. Yaqubi’s filmography as a producer includes the documentary feature Infiltrators (directed by Khaled Jarrar, 2013), the narrative short Pink Bullet (directed by Ramzi Hazboun), and as co-producer the narrative feature Habibi (directed by Susan Youssef, 2010) and the short narrative Though I Know the River is Dry (directed by Omar R. Hamilton, 2012). In 2013, Yaqubi initiated and produced Suspended Time, an anthology that reflected on 20 years after the signing of the Oslo Peace Accords, that included nine filmmakers. His latest film No Exit, (written with Omar Kheiry), premiered at the Dubai International Film Festival in 2015. He feature film Off Frame AKA Revolution Until Victory is making its world premiere at TIFF.